DO YOU HAVE THESE PROBLEMS AND ISSUES? Migraines, dizziness, headaches, pain, not in the mood, worrying, fear, discomfort. Correct the Atlas or the first cervical vertebra of the spine-improve your life - improve your health. WHO WORKS ON THE PROCEDURE OF ATLAS CORRECTION? HOW MUCH IS IT (COST)? The price includes consultation, treatment and one check-up. *If you avail of the treatment for fixing the atlas, if not; then the price is RSD 4000.
a displaced or misaligned atlas can be the cause of tiredness, stress, migraine, insomnia, headaches etc… identify the cause of your difficulty on time. • completed his studies in the Faculty of Medicine in Belgrade, spec. Physical medicine and rehabilitation 1987. 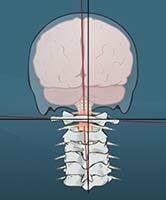 The function of the ATLAS of the first cervical spine is that it supports the skull. It is only 15 grams heavy, and it carries a head whose weight is 5-7 kg. Do you know that we all are born with the problem of more or less displaced, rotated (dislocated) first neck vertebra – Atlas? For now, science has no answer why this is so. The Atlas allows us to turn the head back and forth. We use these movements when we confirm something with nodding. Rotating the head to the left or right is enabled by the ATLAS lying on the second cervical vertebra which is the AXIS. We use this movement of the head when we negate or refuse something. Why is it important that Atlas be in place? Inside the Atlas passes a large number of veins and arteries that allow the flow of blood to the brain. This includes the verterbral arteries that pass through the lateral extensions of all the neck spines, and so through the Atlas. In front of Atlas passes another important artery called the carotid internal, which enters the skull through an opening called the foramen jugular. Even slight movement of Atlas can cause stretching of the artery leading to a reduced blood flow to the cerebellum. Thus displaced Atlas not only affects the circulation of blood, but also the entire nervous system. 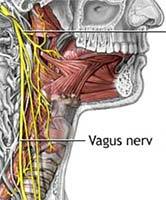 Immediately in front of the Atlas, a vagus nerve, which is known as one of the most important and most diverse nerves of the vegetative nervous system, passes through. This nerve is in charge of numerous functions in our body. One of the main functions of the vagus nerve is the production of gastric acid, as well as the management of bowel function. Therefore, if this pressure is pressed, there are difficulties experienced like vertigo, nausea, loss of balance, sudden fainting, redness in the face, excessive sweating, heartburn, gastritis, jaws, and the “irritable bowel syndrome”. Vagus nerve also affects the regulation of heart rate so that its dysfunction is one of the causes of tachycardia, that is, the acceleration of the heartbeat or the too low / too high blood pressure. In addition, the displaced Atlas causes an unequal distribution of the weight of the head to the spinal column known as BAD POSTURE or as DISTURBED BODY STATICS. The body’s attempt to compensate for this problem creates an imbalance, which affects the bone-muscular-joint system. This is otherwise called functional scoliosis, with a difference in the height of the shoulders and hips, so the leg length is unequal, and this is further accompanied by numerous negative consequences. Knee, hip and leg pain can often be the result of a displaced Atlas, and we are not aware of it. What diseases can occur due to the dislocated position of Atlas? How to fix the Atlas, does it hurt, which is not recommended? The treatment itself is harmless, explains Prim. Dr. Dragan Vulović, lasts for ten minutes, without sudden hiropractic movements and jerks, and is performed with a special apparatus. Pain is an individual matter, some feel pain less, some more, and some don’t even feel a bit. The severity of the pain depends on the condition of theAtlas, the pain of the muscles on which it is done and the threshold of the sustainability of the pain of individuals. When does this method not apply? The original method of correcting the atlas can always be applied because there is no contraindication. I do not apply it to elderly, severely ill and exhausted persons who have sustained irreparable damage and the process of self-healing is no longer possible. The same applies to younger people who have undergone brain surgery (tumor, other oncological conditions), then in people over the age of 80 years, children under 4 years of age and pregnant women. What improvements can be expected after treatment? In the majority of people, improvements occur directly after the treatment of atlas, which are: lower neck and neck tension, better head and neck movements, better concentration, better body statics, upright posture, headache, lightness and relaxation in the whole body from the head, through the internal organs to the foot, clearer vision, cheerfulness, optimism. Sometimes you feel the hips and flow in your arms and legs, which is a sign of re-activating the nervous pathways and regenerating the body. First and foremost, the spine is the pillar and support of every human being, the pillar of life. The spine allows: proper holding, moving, sitting, thinking and affecting the entire life of a person. Performed exclusively by a physician physiatrist – explained Prim.dr Dragan Vulovic. I want to emphasize that if someone uses some medical or other therapy, this does not represent any disruption to the correction of the Atlas, i.e. Correction – says Prim. 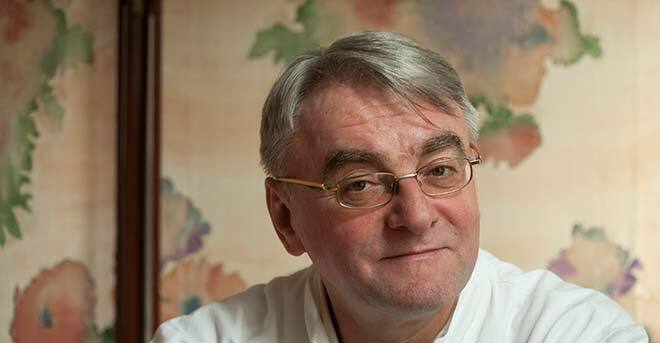 Dr Vulović. What should a person do after the therapy? First of all, he should be responsible for himself and his health. Physical activity, which primarily includes exercises for strengthening and stretching all the main muscle groups, a proper diet and a healthy lifestyle will make your spine to be truly the true backbone of your health and your body. “I was interested in this discipline because it personally helped me to solve my health problem, but also gave answers to many questions that other methods could not do.” says Vlada Tomljenovic, specialist for atlas. In fact, R. C. Schümperli says that in our brain, there is no program of for example, arthritis or any health problems. But instead, a fantastic function of all organs was is programmed. Then I got an idea – why is it that the fantastic program is not working? The answer was given to me by Schümperli’s study, which is based on the fact of the main cause of the greatest number of health problems. Impulses, he says, with every cell of our body which do not reach the brain as it should, and some information from the brain to the perimeters of the body has no free flow. Therefore, the number of patients does not decrease, chronic diseases can not be eliminated despite the commitment of each therapist, their capabilities are limited. Dr. Schümperli’s study method has made it clear that official medicine as well as alternative medicine are dealing with symptoms and that ultimate healing outcome does not produce the expected results. What happens to the Atlas when it is repositioned to the right place? The moment when an unobstructed connection between the brain and other parts and organs is established, the flow of life energy – prana, chi, divine, cosmic, kundalini… call it as you want, becomes free. 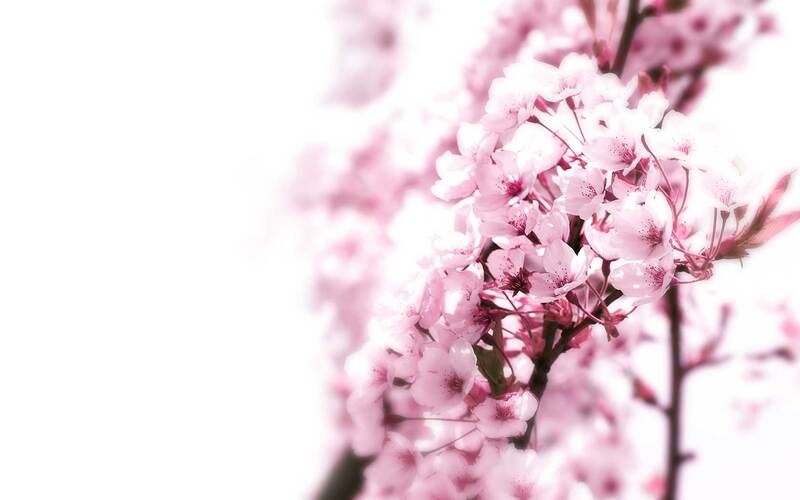 Energy, and therefore blood and oxygen and all that the body needs, circulates freely. You mentioned personal experience with this method, what is it about? Four years ago, doctors wanted to put a prosthetic leg in place of one knee. I had severe pains, swelling, bones were rubbing each other and experiencing difficulty in walking. Then I sought help from Dr. René C. Schümperli and at 65 years of age I got treatment of the Atlas. After that, there was a change in the statics and mechanics of the body, the balance of the body and all the joints that were disturbed due to the displaced Atlas began to move in the right direction. I went to see Dr. René for fixing Atlas because of the proper posture of the body, not because of the knees, but soon afterwards I noticed that I could move my knee. Now I’m walking normally and the installation of a prosthetic leg was not necessary. How do you do the installation of Atlas, is this chiropractic? No, this is not a chiropractic method. This is a harmless procedure, there is a special device, Dr Schümperli’s patent, which stimulates certain acupressure points on the neck, in the area of Atlas, just below the skull. It takes 10-15 minutes. Of course, this is preceded by a discussion with the patient, the examination of his health problems and the palpation of the neck of the spine and head. How do you know that the treatment for Atlas correction worked? The therapist and patient can feel it. The patient feels light, relaxed and the tension in that area and the spine feels better. Finally, a target X-ray of the region can always be done. The method is proven and widely applied in the Western countries. What is the difference between chiropractics and the method of fixing the Atlas? Atlas correction is an intervention wherein the method of twisting or bending the head and neck of the patient is not used. It is not advised as it can be dangerous. The atlas of almost every person is not aligned and every twitch brings the atlas into an even worse position. Due to the displaced atlas, the position of all the vertebrae are disturbed. Chiropractics can alleviate it but not solve it. How many treatments are needed to get the atlas in its correct form? Just one and a check-up after a month. No ultrasound is required, dislocation and weight of dislocation are determined by palpation and certain manual tests. However, if a patient does not believe, they can take the magnetic resonance of Atlas or an X-ray. The X-ray should be targeted at that part of the neck before and after the treatment so we have a black and white comparison of what happened. Also, time will show what is going on with the organism. People with impaired flow of vertebral, carotid, headaches, dizziness, depression come to us for treatment. After the realignment of the atlas, their health issues stop after some time. It’s already an individual matter. Unfortunately, there are borderline cases, in which the organism can not regenerate because the disease started to take over the body. Problems in the neck are most often the result of spondylosis-degenerative spleen damage, discus hernias, corrected physiological lordosis (natural curvature – the forward-edged hinge) or even kyphosis (curve of the neck), scoliosis (curve to the left or right), accidents, and the worst but most dangerous tumors and inflammation. Pain in the neck is most often the result of underlying disease. Spondylosis as the most common diagnosis represents a chronic, progressive degeneration of the cervical spine, especially among the vertebra, which press the spinal cord, the roots of the nerves and the blood vessels that pass through them. When turning and bending the head, the degenerative vertebrae press the blood vessels that feed the skin of the head and the cerebellum, and temporarily comes to a reduced flow, even the cessation of blood flow. This condition leads to feelings of omaglia, fainting, often and pain in the head with the feeling of irritation of the stimulating part of the head. When turning and bending the head, there is also a pressure on the nerve. When the head rests, the normal position of the discomfort is soon stopped, but this forces the patient not to trigger the neck, which eventually leads to stiffness and reduction in the volume of movement. In this situation, the patient can not look from the side or backwards without turning the entire body. This is noticed by drivers when they have to turn the whole body around to see what happens in the rear when driving back or parking. The main indicator of this disease is progressive neck pain, and the evaluation shows a limited possibility of tilting the head toward the shoulders, as well as the head rotation. This leads to stinging pain, and patients often raise their head from the lying to the sitting position and vice versa. In treatment, the main goal is to reduce pain, increase the volume of movement and prevent further damage to the vertebrae and nerve endings. All this results to bad mood, poor quality of life, muscle tension. These patients often have fear and panic attacks and often fall into depressive conditions, experiencing mood swings and they function poorly because they constantly have these problems. The most important thing is to recognize the patient’s precise condition so that he will not be treated wrongly, which means that there is no bacterial or viral inflammation and tumor. Mistakes in treatment sometimes means that the form of treatment is correct but outdated or overstepped because new recommendations are not being applied. The best and most recent recommendations were given by the 2005 European Commission on the analysis of the effectiveness of various forms of treatment where it was concluded that exercises and spine correction are the two most effective methods of treatment. All symptoms are withdrawn by themselves when treated in an adequate manner. Physical examination of the neck, shoulders, arms and legs examines strength, touch sensitivity, reflexes, blood flow, flexibility of the neck and arm, and walking. 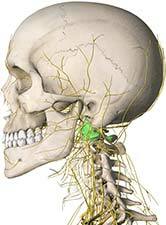 The doctor can push the neck and shoulders and feel the painful (trigger) points. A doctor can supplement his or her assessment with blood tests, and with additional searches confirm the diagnosis. The x-ray of the cervical spine is traditionally the first step in the spinal cord. The recording will show changes in aging, as well as loss of disk height or bone. Magnetic resonance (MR) can create better images of soft tissues, such as muscles, discs, nerves, and spinal cord. Computerized tomography (CT) provides careful assessment of the bone and spinal canal. Electromyography (EMG) requires nerve damage. Physical procedures are applied as well as alternative acupuncture medications and surgery. According to the recommendations of the already mentioned European Commission in 2005, the most effective exercises and spinal correction. Static exercises in the lying position without movement are the most effective way of exercise as well as their gradual application. The correction of vertebra and bones-chiropractics, above all mild movements of the so-called soft hieroglyphics, a little more intense osteopathy results in the good results of the so-called structural osteopathy and the installation of Atlas-the first cervical spine according to the R. C. Schumperli method because it has scientific evidence of its success.